Welcome to the Leo Vegas UK casino! They give you 20 sign up no deposit spins followed by a generous first deposit bonus. Here's everything you need to know. You’ve got to love when a new casino mobile bonus comes along because it usually (not always) improves on what was there before. 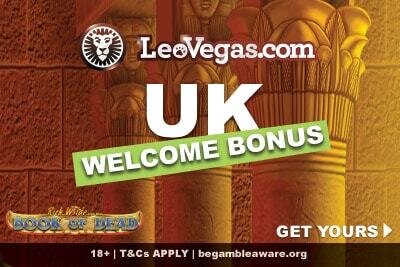 So the Leo Vegas UK casino bonus now gives you a whole range of new welcome offers for new players to their award-winning gambling site. We take a look at the complete UK welcome bonus and all the terms and conditions you need to know (here’s a quick recap below if you don’t have the patience to wait). Bonus Terms: 18+. New UK players only. 20 Free Spins on sign up. Deposit Bonus: 100% up to £100 Bonus + 20 Bonus Spins, on each of your first 4 deposits. £10 min deposit (Skrill, Neteller excluded). £5 min. wager to activate Bonus Spins. All spins are valid on Book of Dead and expire after 7 days. 35x wagering on eligible games (£5 max stake) before Bonus, Free Spin or Bonus Spin winnings can be withdrawn. Eligibility restrictions apply. Please play responsibly. BeGambleAware.org. Full T&C’s below. Let’s go through it step by step because if you are going to try out a new casino you need to know that the offer is not only fair, but the casino is going to be worth playing. So if you can’t be bothered to go through it all, you can read our Leo Vegas casino review and skip ahead. Or you can read on and see our thoughts on each of the bonus offers below. Getting some spins on a popular slot machine before you’ve made a deposit is nothing new. But it’s nice to have none the less, especially if you never signed up at this particular UK phone casino before. After all, you don’t want to commit before you’ve had a little taste. 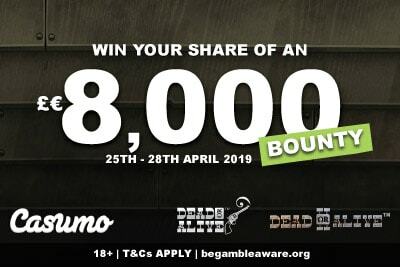 Rich Wilde and the Book of Dead – A 5 reel, 10 payline game with a high variance which can offer big wins up to 5,000x your bet. A slot with free spins and expanding scatters this Egyptian themed slot is fun to play. With a wagering requirement of 35x on anything you might win, this is just meant to tease the palate before the main course. The point of this deposit bonuses is to include everyone; from the casual gambler who deposits £10 a week, to the high rollers who like to make £100 bets in a single spin. So, what are you going to get? You double your first deposit. The minimum you can deposit at this casino is £10: you’ll then get £10 in bonus and play with £20. The maximum deposit for this bonus is £100 – you’ll then get £100 in bonus money and play with £200. You can deposit more if you like, but you won’t get more than £100 in extra casino bonus. It’s pretty standard, it’s simple and, other than a 35x wagering on the bonus money only, there are no real surprises. You’ll also get 20 free spins on the Book of Dead slot to play with after you’ve made your first deposit. Another chance to scoop up to 5,000x your bet wins. 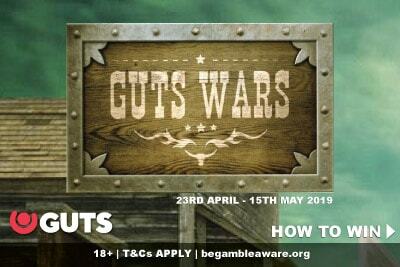 Unlike casino sites like Guts or Casumo who offer British players a single first deposit bonus. LeoVegas have decided to change things up a little offering you not one but four deposit bonuses. On your next three deposits you’ll get the same as you did on your first. 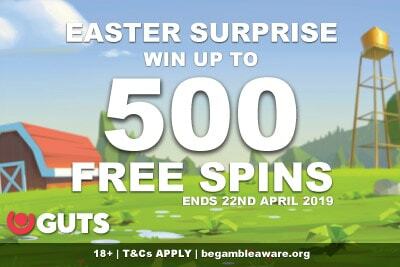 If you decide to take all four casino bonuses you’ll get up to an extra £400 in bonus money and combined with those no deposit free spins you got when you signed up a total of 100 free spins. Do we love or hate this new Leo Vegas bonus? Is it better than what was there before? Well, yes it is, it gives everyone the chance to have a taste of the casino thanks to that sign up bonus spins along with up to four chances to get extra bonus money on top. It’s simple to understand you get the same on your first four deposits without any bonus percentage changes. They are all 100% match bonuses making it easy to know that what you deposit is what you’ll get in extra bonus money. If that’s what you are looking for, then this Leo Vegas UK offer certainly ticks all the checkboxes. We can’t stress this enough. Whilst the terms and conditions are not complicated, they do exist. And the main one to keep in mind is that any winnings from the deposit or spin bonuses will have a 35x wagering requirements. However, the good news is that you use your real money first, then any bonus money you have saved up. So if you win using your real money, and want to cash out; you can. You are not tied in to keep playing just because you have bonus money in your account, but you will lose the bonus if you decide to cash out. There’s plenty to love about this casino site and here are just a few highlights. That said, the best way to know if Leo Vegas is for you is to give them a try; and that’s why they give you 20 no deposit spins when you sign up for free. Check them out, take a look around, and if you like what you see, you’ll know what to do.